His wife, let’s call her Nancy, is an accomplished woman in her own right. While friendship with her husband was based on a common background, friendship with Nancy was built on appreciating our differences. One difference is that while I view shopping as punishment, she views it as fun. That is an attitude we can and must fix. If not, the combination of growth and deferred maintenance will conspire to produce an infrastructure bill neither we nor our children can afford to pay. Facing growing cost and limited resources to maintain our infrastructure suggests it is time for innovation. And Texas is the place. The Army Futures Command is located here, in part, to exploit our thriving culture of innovation. We have the best Army in the world today, but its leadership recognizes that innovation is critical to affordably maintain superiority going forward. It wouldn’t be much of a stretch to extend the innovation culture that drew the Army here in the first place to the infrastructure space. Texas is already home to the Construction Industry Institute, more than 130 organizations sharing best practices to improve the quality of construction. 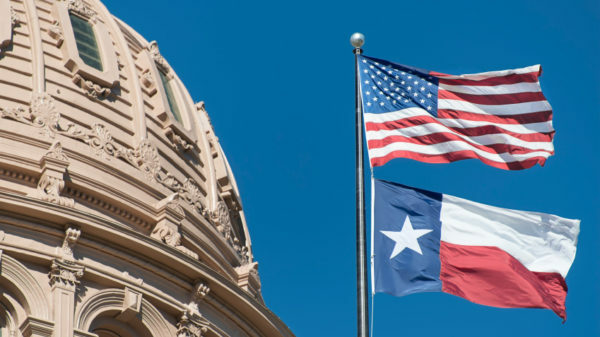 In addition, the federal government invests about $2 billion annually in research in Texas universities, making it one of the leading states for research. Add to that the fact that nearly all of the top companies known for research and innovation have a significant presence in Texas. The steps forward are easy to define because the quality movement provides many examples. First, the state’s legislative and executive branches must set and fund the expectation. Leading through innovation is not easy. We’ll have some failures along the way. But we must try. Success provides not only bragging rights, but a high-quality, affordable infrastructure. Ignoring this opportunity makes a crumbling quality of life more likely for future Texans. Robert E. Hebner is the director of the Center for Electromechanics at the Cockrell School of Engineering at The University of Texas at Austin. A version of this op-ed appeared in the Austin American Statesman and the Waco Tribune Herald.